The issue of dns, which is on the agenda in the world, is a very important issue. Keep the pages from opening, slow internet speeds, the cause of all problems is that the dns requests are not fast. 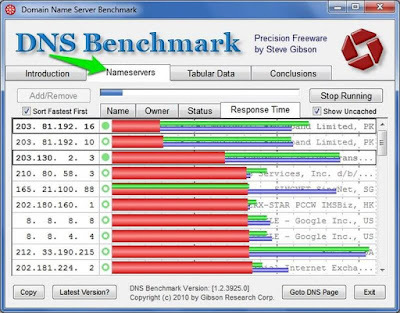 Let us come to the main topic in our article, how to test our DNS rate and how to find a fast DNS server. The DNS rate is not an issue that anyone can recommend, because the DNS decoding process of each DNS server will vary from your chosen internet distributor to your location. A dns server in America is likely to be not the same for you while providing a good service to users in the american. We can learn from our DNS speed, that is to say, from a DNS server using a third party software. To download this software, you can use the download link. After running this program, we will see a confirmation page followed by a page on the screen. After reaching this section, the list that we see on the screen will work for 30-35 minutes for the test, which is the best 50 dns server in the world. When the process is complete, we can use the dns server that gives the best result. You can also use the dns address in the dns part of your modem or distributor, or you can use the dns server in the network settings. You can also see the results with the http://www.speedtest.net/ site to see how fast dns is.